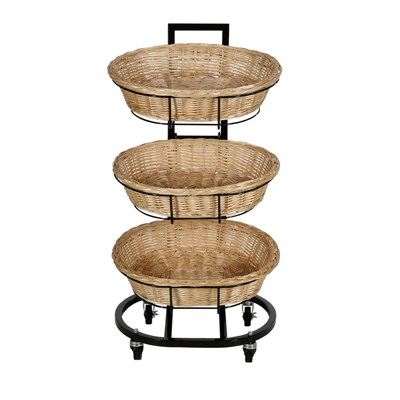 The Mobile Oval Wicker Basket Display has three baskets that measure 23 in. W x 18 in. D x 6 in. H. The perfect display for toiletries, pet supplies, home accessories and more. 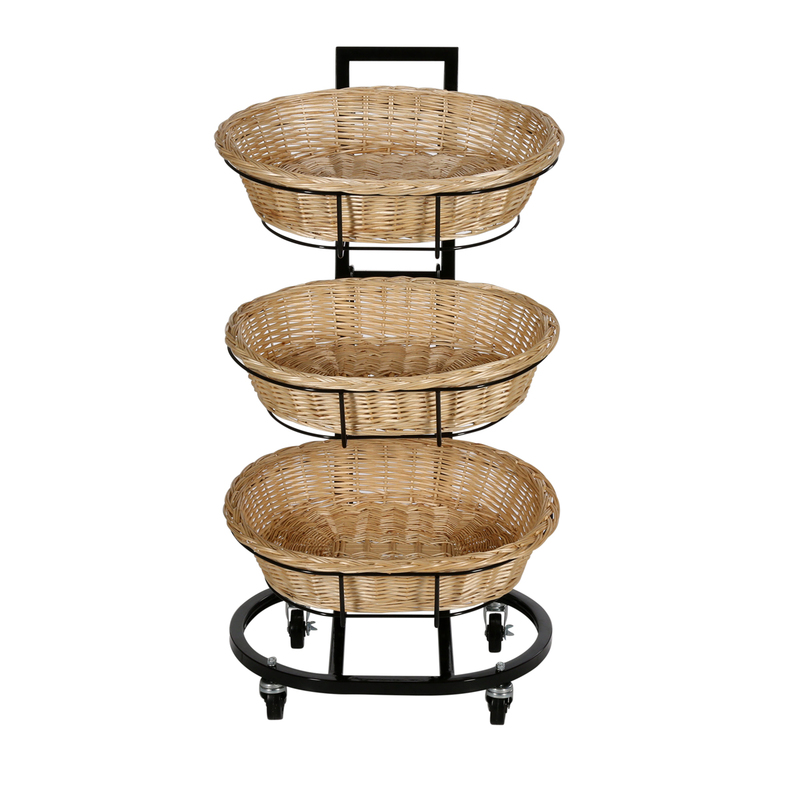 Our mobile display is constructed durable steel with a stylish black finish and features an all wire support frame each basket. Features large scuff-resistant castors for easy mobility. Some assembly required.